My “Distributed Teams” book was published six months ago, so this felt like a good time to review some metrics. While writing my book, I had multiple people telling me that print books were dead, Amazon/kindle was the only way to go. Some literally lived on the road, with no home, so their opinion was understandable. After all, books can be heavy to carry. Maybe it was true for the specific subject matter of their books? Maybe they only used kindle, and thought others should do the same? My own reading style was different. I have a few books on my tablet, but vast majority of my books are physical books. Was I the only luddite who still skimmed over packed, curated bookshelves at home, re-reading specific helpful passages when the situation arose? Despite all the kindle-only suggestions, I decided to create my book in multiple formats: Physical paperback, Amazon/kindle and Apple/epub. This decision delayed the release of the book, as it added significant complexity to the book creation process. But it felt like the right decision, so I did it. Instead of writing words in the book, I found myself working on the mechanics of the book publishing process dealing with a flurry of time-consuming questions like: paperback-vs-hardback? book height and width, font size, margin size – all of which in turn change the total number of pages? How do paragraphs wrap on page boundaries? Where to put footnotes and page numbers? etc, etc, etc. I also decided that I was going to ship the book in all these formats at the same time, not one-after-another. Doing sim-ship like this is obviously harder to do, but my experience in shipping software taught me that the organizational rigor this requires has two very important side effects. 1) This avoided any perception of one format being more important or better than another. 2) This makes it easier later to track, coordinate and ship any fixes/edits to the book over the lifespan of the book. Something I’ve been thankful for with each small book update I’ve shipped since August 2018. 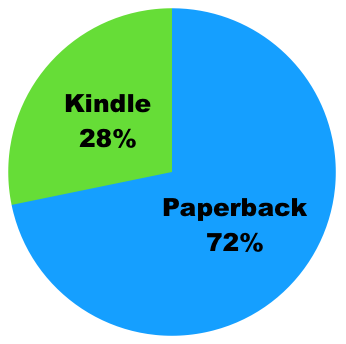 Six months after launch, here’s what I discovered: 72% people bought physical paperback while 28% bought kindle. It is worth noting for the record that these numbers does not include physical copies of the book handed out in workshops I run on distributed team or as copies to people I’ve worked with. If I’d included those numbers too, it would have skewed the sales numbers even more towards paperback. I find it oddly great to watching people who don’t know me casually flipping open the book, politely skim a little and then stopping to lean in and start intently reading. Just like I enjoy watching people highlight passages and inserting post-it notes during workshops. My opinion, without evidence, is that this is less likely to happen with electronic versions. I am now convinced that, as a writer, the right answer is to make your content available in whatever format(s) your readers use. ps: While creating my book, I also created an epub version. However, I stopped part-way through the legal paperwork with apple, and then in the middle of everything else, I simply forgot to revisit. Earlier this week, a reader reminded me of this, so I’m now working on it again. The next six month report should include numbers for epub sales also. I’ve also had a few requests for audio-books, which I know nothing about but am starting to research. 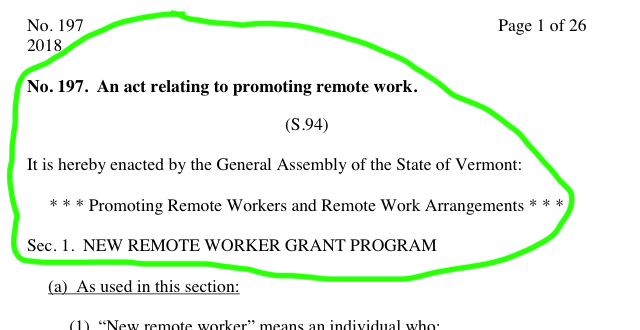 Author JohnPosted on 21 Jan 2019 23 Mar 2019 Categories Mozilla, RemotiesLeave a comment on Work From Home – in Vermont! “Distributed Teams as a Competitive Advantage” in Sydney! This presentation will build on a focus of my “Distributed Teams” book – the competitive advantages and wider economic impact of this trend to distributed teams (or “remote work” or “virtual teams” or…). Over the last ~20 years, we’ve moved from jokes about “working at home in bunny slippers” to viewing distributed teams as a competitive advantage. How did this happen? What are the cold, hard, business advantages to this trend that can help you and your organisation be more competitive and more successful? How can this trend help your organisation hire better, hire faster and improve retention? Can your organisation save money while also addressing important social, diversity, urban planning and environmental issues? How can your team or organisation work well together even when physically apart? 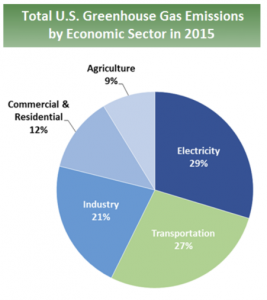 Can you have a meaningful, well-paid career without a daily commute to a physical office? This is usually a very interactive topic, so we’ve scheduled extra time for Q+A discussions as well as some time for networking before/after. It is also worth noting that this will be the first presentation of 2019 in the large, newly renovated, event space at Fishburners, in SydneyStartupHub. I heard a lot about this venue earlier this year while working in Singularity University with Molly Pyle and Brian Lim, so when I arrived on holidays in Sydney and Melbourne, I had to check it out for myself. Yes, SydneyStartupHub is a co-working space. But its like none I’ve ever seen before. This one location has ~183,000 sqft / 17,000sqm of office space across 11 floors. There’s a fantastic 110 seat theatre. There’s a large public speaking event space that can hold a few hundred people. Serious professional-grade kitchens, coffee machines and social spaces. Rock-solid internet connection. Many many many meeting rooms. Phone-booths for video-calls. Glass-walled offices and open-plan co-working desks arranged for different size startups. After a while, I just stopped counting. All renovated and stylish – yet mixed with the carefully preserved original heritage details. If you’ve never visited, you need to see it yourself to grasp the scale and great attention to detail throughout. Its mind-boggling! Oh, and the location in downtown Sydney means that it is easy to get to/from here on many different forms of public transport. If you are now (or will be) part of a distributed team, please stop by – I hope this event will help your organization be more effective and I’d love to hear what did/didnt work for you. If you’ve never seen Fishburners or SydneyStartupHub, please use this event as an excuse to stop by and check it out. It is short notice, but I hope you can make it. 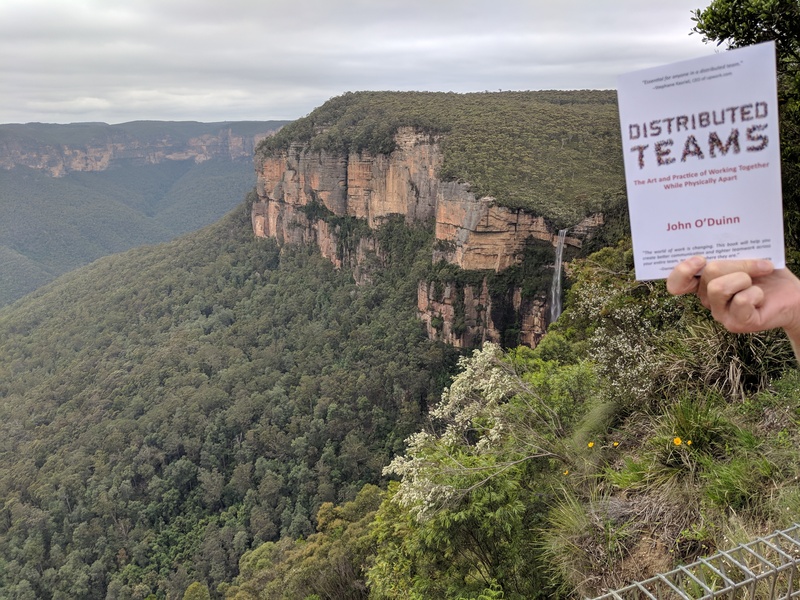 Author JohnPosted on 08 Jan 2019 24 Feb 2019 Categories Books, Mozilla, RemotiesLeave a comment on “Distributed Teams as a Competitive Advantage” in Sydney! 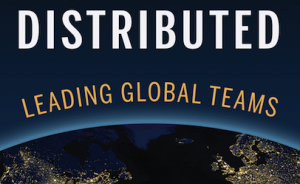 The “Distributed Teams” book – created by a distributed team! Here’s a little trivia about the book “Distributed Teams: The Art and Practice of Working Together While Physically Apart“. This book *about* distributed teams was created *by* a distributed team. Catherine, Linda and I live in three different states (California, New York and Utah), in three different timezones and never once met in person during the creation of this book. Instead, we “walked the talk” – following the practices from the book while writing the book. We held video calls instead of audio-only conference calls. We used pre-agreed Single Source of Truth to track each person’s work as well as the state of the overall project. We had crisply organized communications. Depending on the phase of the project, sometimes we co-worked on multi-hour video calls multiple days in a row and sometimes we didn’t talk all week. But we always knew the latest status of what the others were working on. These, and many other tactics, came from the “How” section of the book and were essential for helping this team work well together while physically apart. I note for the record: Catherine and I had never worked together before. Linda and I had worked together once before, years ago, on a completely unrelated project. This team went from “forming” to “performing” (bypassing the “storming” part!) while never once meeting in person. It was a great team to be a part of and one of the highlights of the whole book writing process. We’ll be working together again, I know it! Author JohnPosted on 23 Dec 2018 Categories Books, Mozilla, RemotiesLeave a comment on The “Distributed Teams” book – created by a distributed team! 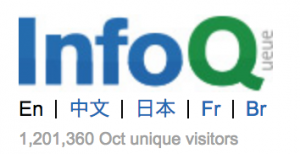 Long time readers of InfoQ.com know they cover many different aspects of working in software development: the tools, the technologies, workplace cultural aspects, conferences and yes even books. All to say, I should not have been too surprised when Ben Linders asked to interview me about my new “Distributed Teams” book. 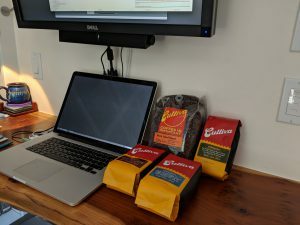 Ben has written several posts about different aspects of distributed teams and remote work over the years, so I was delighted to do this. We covered lots of details from the book, as well as wider impact of this changing mindset in society. This was a very detailed, thought-provoking, interview and I enjoyed working with Ben on this. The article is now live here on InfoQ.com, so pour yourself a fresh cup of coffee and have a read. Hopefully you’ll like it – and if you *do* like it, please share/tweet about it. Thank you, Ben, for making this happen. “Distributed Teams” book: Now available for pre-order on Amazon.com! UPDATE: My book is now available on Amazon! More info here or jump straight to buy the book on Amazon by clicking on the thumbnail. That was a surreal sentence to write. And daunting to re-read while looking at the remaining ToDo list. There is a bewildering 1,001 loose details that need to get figured out before the book officially “ships”. Buying ISBN numbers. Debate hardback vs paperback vs ebook. Page margins. Font size. Font. Resolution of images in the book. Book cover design. Create Author page on Amazon. Setup copyright – globally. Decide book pricing. Decide which countries to sell the book in. Fix bugs in the artwork. I’ve been jumping from one topic to another, learning each area as I went along. In this dizzy never-ending ToDo list, “Get book listed on Amazon” was just one more ToDo item. Several attempts failed with different error messages, sending me off debugging yet another problem, until one attempt seemed to complete without any errors?!? Huh – that’s strange. Now what? How do I know if it worked? Was there a dashboard to check status? Oh, wait. Duh. I started up a new browser, went to Amazon.com and searched for “Distributed Teams”, just like a regular user. There it was. Great. That worked. Search by my name. Yep, also there, great. Search by variations of the book title, all good. And then it hit me. Wait. There it was! My book. On Amazon! There. Is. My. Book. On. Amazon. Pause. Deep breath. Slowly exhale. So here we are. At a major milestone. It feels like I’ve reached the tipping point just like in every software release – while there are always more things being noticed that need to be fixed, the new incoming ToDos with each build are less severe and people start having more discussions about “is this serious enough to hold the release”. 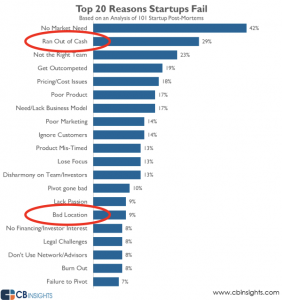 Quietly, morale starts improving as people change from wondering “IF it will ship” to wondering “WHEN it will ship”. After all this time headsdown and focused on research, on interviews, on writing and on editing, the nature of working on the book has changed. Instead of spending all my time on the words in the book, I’ve started spending more time on the book. Excitement about finally shipping starts mixing with anxiety about whether others will like it. ps: For those keeping count, this latest draft is now ER#24. One great friend sent me a gift to help with the book. Nothing says “Hurry up and ship your book already!” like a delivery of ~5lbs of hand roasted, very tasty coffee beans ! 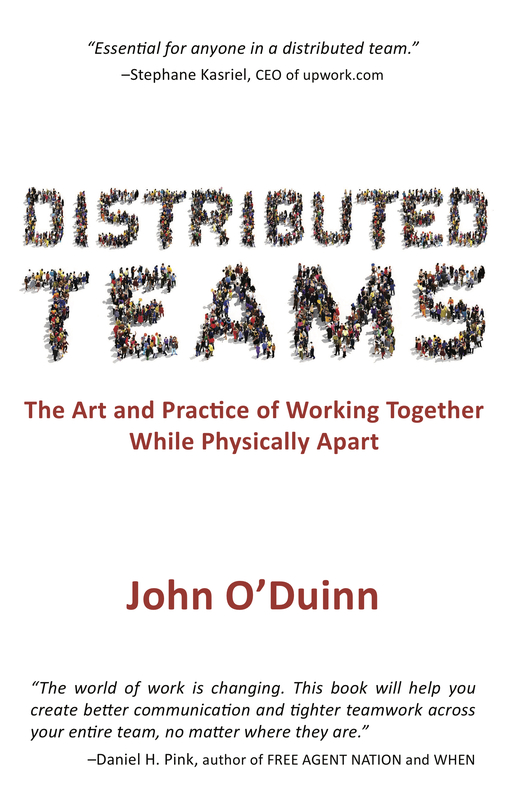 Author JohnPosted on 29 May 2018 25 Aug 2018 Categories Books, Mozilla, Remoties3 Comments on “Distributed Teams” book: Now available for pre-order on Amazon.com! Author JohnPosted on 26 Jan 2018 27 Feb 2018 Categories Books, Mozilla, RemotiesLeave a comment on Distributed Teams – Why Now? I’m excited and a little stunned to say that this update includes the last incomplete chapter! I’ve now written the complete book??!? To get a free copy of this latest version of the book, just signup on my zero-spam, low-volume mailing list here: oduinn.com/book. This marks the start of the next phase for this book-writing project – working with editors to cleanup any typos and errors in the text, finding illustrators to replace the screenshots, and going through a long list of “remember to fix…” todo items. The three big items on the list are 1) to start blogging and outreach work to get the word out about this book. 2) update a few remaining chapters to the same consistent structure/format and 3) figure out how to generate PDF and epub versions. Yes this update is still only available in kindle/mobi format, so for now, to read this latest update on your laptop or iphone, you’ll need the Kindle app. I’ve honestly no idea how much work or time this will take, although I am all-too-aware of the 20/80 rule about “the last 20% takes 80% of the time”. The optimist in me believes that all the great feedback I’ve received so far on all the previous updates will help. A lot. I guess we’ll find out soon enough! As always, if you have any comments, ideas, concerns, etc., please don’t be shy to contact me. I love the contact and feedback so far, and would like to hear what you think. I again note how great the ongoing moral support and encouragement and excitement from each of you has been through all this. It literally keeps me going. Thank you. Each and every one of you. Author JohnPosted on 07 Jan 2018 07 Jan 2018 Categories Books, Mozilla, RemotiesLeave a comment on “Distributed” ER#15 now available! I’m excited to write that update#14 is now available – still in time for those of you looking for some quiet reading over the holidays! This latest update includes yet another chapter – “Culture, Conflict and Trust” – one of the last two chapters that were left to write. Now, there is only one more chapter to go! I’ve also finished converting my manuscript to the new publishing format, so now all remaining weird SGML syntax errors should be fixed and all links to footnotes, links between chapters, etc, now working. As I mentioned before, I’ve formally switched publishers and revised the release date to Jan2018. This change means that if you bought any of the previous versions of my book, you will not get automatically updated to this new update#14. To get a free copy of this latest version of the book, signup to my zero-spam, low-volume mailing list on oduinn.com/book. As always, if you have any comments, ideas, concerns, etc., please don’t be shy to contact me. I love the contact and feedback so far, and would like to hear what you think. Meanwhile, its time for me to take a walk outside in the fresh air, brew more coffee and get back to writing! I again note how great the ongoing moral support and encouragement and excitement from each of you has been through all this. It literally keeps me going. Thank you. Each and every one of you. Author JohnPosted on 27 Dec 2017 07 Jan 2018 Categories Books, Mozilla, RemotiesLeave a comment on “Distributed” ER#14 now available!